Brother EmirZaad, check out the size of the aircraft in comparison to the runway at 04:49. Tell me its not an RC plane. A screenshot from the previous video. I have already written that its an X % scaled down model that flew ... and that has been officially told as well , in case u understand farsi ... one reporter clearly says that today "a smaller version has flown" ... parwaz azmayeshe nemoone koochak ... meaning Small scale model test flight ..
SUPARCO.....if you listen to the commentator just before 0449 he uses the words modelay. I presume it means model as immediately they switch to showing the model on the runway. This however oesn mean that no full scale tetbed exist and could have been flown. I think yes ! at least I could have questioned its performance given the expertise of PAC on such a platform but with the involvement and technical support of the chinese they can do so. The question here is that did they designed it own their own or with the Russian help. But still If it would have been advertised as 4th gen aircraft instead of all stealth internal bomb bay it would have been more digestible. The radar could be elsewhere, not a hard and fast rule that the radar has to be on the nose; Migs, F-7, Saber F-86 are a few among the nose-less ones. Congrats to the Iranians. Great achievement indeed. Neat looking aircraft. It's never easy to produce a domestic fighter even with the help of outsiders. Iranians have the ability to achieve even greater things. Mig-21 and F-7 has the radar in the nose, saber is a second gen fighter with, if I am not mistaking, a range only radar and I am not sure where it is located. The nose is the optimal place for an AI Radar. Added later: F-86 also had it in the nose. It seems like Iranians have somehow mastered a technology not known to mankind which allows them to bypass the laws of physics. How on earth is that airplane 48 ft long? Why do Iranians think the whole world is blind? How can that plane have a max takeoff weight more than an F-16 when its the size of a trainer and only carries weapons in internal bays???? track paid off. Persistance on the right track pays of not history worship-obsession feeding old rivalries, secterian, ultranationalist motives. used by them as pawns until to be disposed of. Since airbases are static targets and very visible from above they are the first targets of an enemy assault. use conventional runways with 40 km range archaic patriot coverage. also some configurations are I think somewhat possible with some modifications. In ww2 germans came up with some unconventional solutions as their air bases are bombed over and over again. for landing on unprepared terrain. Arado 234 or Me 163 komet to name few and in cold war for example Sud-Est SE5003 Baroudeur. 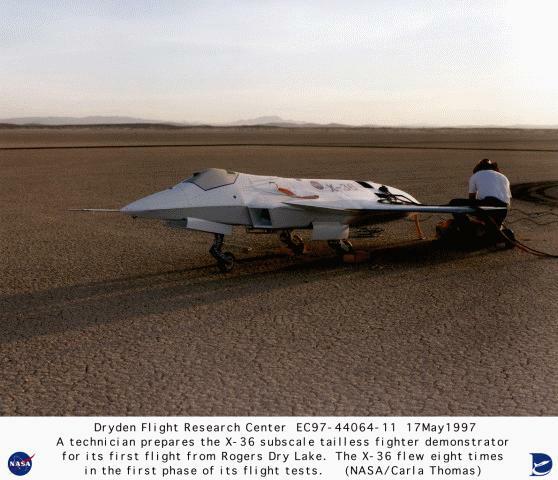 another unconventional landing version of this plane, landing shock can be further minimized since we are in the age of digital nonlinear control. I pray the vtol solution will mature as well. Another thing is I think these kinds of achievements should be made public after a certain threshold of security is reached. Currently there seems to be some stability but vtol variants at least should not be shown of publicly in my opinion and kept as secret as possible. fear and paranoia is their driving power as we have seen the preemptive strikes in the last decade. That would result in two gains. 1- Enemies wont be fully aware of the dispersion and limit of use of such technology by Iran. 2- These technologies are threats to their hegemony we know them from the bush era they can preemptively strike by any means that includes wmds. Yes Iran like Pakistan has good relationships with our allies but in order to prevent some us criminal action certain items should be at place. - chemical and biological assets should be kept under control and underground very below. - second strike capability by ships. Ships should be able to launch bms and if possible submarines. - bm silos should be nuclear resistant to some degree. bm through mountain launch maybe. - unpredictablity. I also wrote this in bush era since Irans current capabilities are unknown and if israel or us preemptively nuclear strikes Iran any submarine Chinese, Russian or Pakistani or anyone launching a bm including a nuclear warhead would not be identifiable it would be as if Iran retaliated especially if the target would be israel. Iran does not need to develop nuclear arms this way but be unpredictable having a productive relationship with our allies. This unpredictability will somewhat deter a preemptive nuclear strike even in the abscence of nukes. how can u be so sure that the mockup was 1:1 of what the real aircraft would be ? ... while the flight was of a scaled down version ( 20-40 % i dont know correctly) ... i mean have u seen the real aircraft yet ? ... i would wait for the real test flight before judging anything ... even those figures would change alot during prototype phase ... btw only length is given as 48 ft ( i mentioned official )along with 6 hard points ... rest figures r reported by a media agency ... atleast i m waiting for official release or some aja article ..
all in all ... project will take time ... only good thing is that we know IRIAF's future is secure ... because very sincere ppl are at work . why make mock up and announce to public?? why not make prototype and make that as test bed and improve on that. Only think I hear is model and model. Well if its not the real thing than perhaps build that and show off. Its like somebody making and RC plane with all the fancy stuff and say hey this is 1/5 of the real thing. But question is where is the real thing? EmirZaad bro I dont think it will take just another two years for Iran to do the real thing as you have mention few times. It will take many years before it will reach production state. That is the honest truth. Israeli experts say the "indigenous fighter jet" Iran presented on 2 February is nothing more than a "very sleek plastic model". Still images and video footage released by Iranian state media reveal the Qaher 313 as having design features, including distinctive faceted edges and angles, resembling those on US stealth aircraft such as Lockheed Martin's F-22 and F-35. The new type also has large, but seemingly fixed, canards behind its cockpit, and short wings. However, Israeli sources note the aircraft's canopy appears to be constructed of "basic plastic", and its engine air intakes are unusually small. "The whole impression is of some plastic parts pasted to an old flying platform," one says. One Israeli expert says the Qaher 313 is also too small to be a capable fighter: "The only parts that look real are the cockpit and the ejection seat, but that is easy to show." Video footage showing the Iranian design airborne "could easily be a radio-controlled model aircraft", the source claims. Poor-quality footage posted on the internet provides no sense of scale for the platform being flown, and also fails to show its take-off or landing. Other design factors show "many details that are against any stealth capability", Israeli experts say, including the Qaher 313 having no visible weapons carrying capability, either internally or externally. Iran has a history of presenting new weapon systems which are, in fact, adapted versions of older equipment. These include its Saeqeh (Thunderbolt) fighter unveiled in 2006, which was clearly a Northrop F-5 with a few new features, including a twin tail and leading-edge strakes. Tehran has also shown footage it says shows indigenous helicopters derived from its armed forces' legacy Bell AH-1 and UH-1 rotorcraft. to be fair, from what i read, initially i expected it to be a real plane too, but again that may be just down to how it was reported in the media. InshaAllah soon we'll see the real thing too. Notice the winding power source coming from the picture in the top left towards the aircraft. Promising concept. I will withhold comment till I see the actual a/c fly. Making a mockup is all well and good....but actual integration of the numerous components on a working platform takes a lot of funding, engineering and man hours. To be honest, I don't know much about the radar. hence if you say the nose is the most optimal place, I take your word for it. However, when I see the images of the jets, all I see is intakes where the nose cone usually is. That tells me that the radar does not have to be in the nose for more effectiveness as long as it serves the purpose of the equipment. The Iranian radar, is surely larger than the nose less ones even if small. One can't give a statement that too small to be workable/good. Japaani supposedly stealth aircraft model. I am from China. First of all I admire Iran's ambition to enhance its aviation capability. But frankly, I don't think it's a smart and reasonable approach to start with a stealth aircraft. It will be too challenge to Iran's aviation industry since it lacks many critical technology, equipement, experience and know-how. And the whole industry base of Iran can hardly support the development of this kind of aircraft. China has been developping its aviation capability of many decades. But we still have many difficulities now a days in this area. I think it will be more feasible to start with a more traditional design aircraft to accumlate the required capability, develop talents and more important is to learn the know-how.